Burlington, IA. 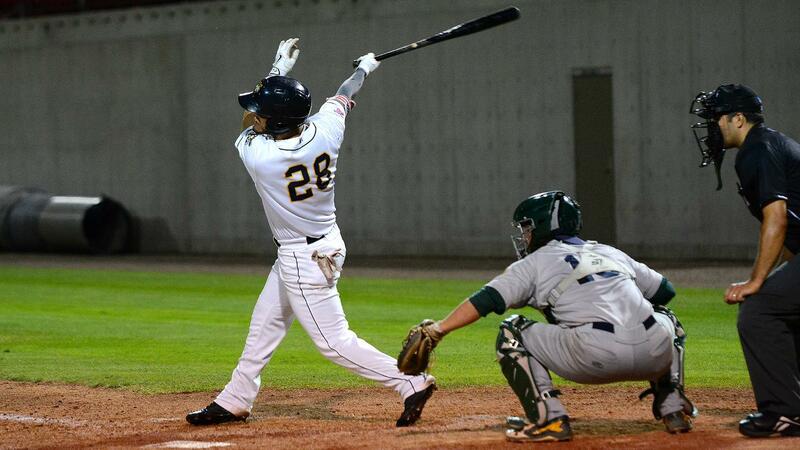 - It was a fun night for fans last night at Community Field, as the Burlington Bees (11-23,41-62) dominated the Beloit Snappers (21-14,53-51) 9-1. Max Herrmann (2-5) earned his second victory after shutting out the Snappers in his five innings, allowing six hits, one walk, and throwing a season high seven strikeouts, making it only the second time he has thrown five or more in a game. 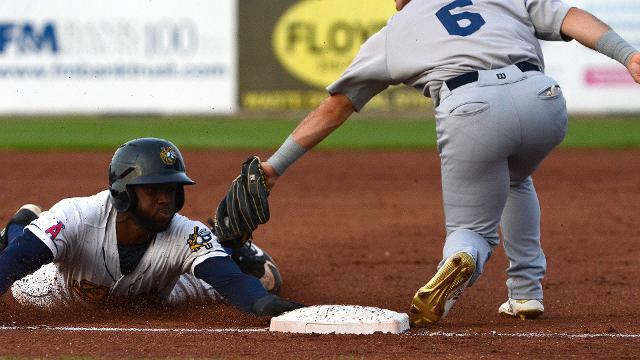 Ivan Andueza (1-8) suffered his fourth straight loss after allowing four runs, three earned on six hits, and throwing three walks and three strikeouts. Burlington got the bases loaded in the third after Torii Hunter hit a one out double and Leonardo Rivas and Orlando Martinez drew walks. After a fly out from Kevin Williams for the second out, Spencer Griffin lined a single into center field to score two runs, putting the Bees up 2-0. In fourth, Harrison Wenson hit a one out double for his fourth of the year to give the Bees another runner in scoring position. Alvaro Rubalcaba then hit a grounder to third, but the throw from Ryan Gridley was over the head of Jack Meggs at first, which allowed both runners to advance a base to put them on second and third. Hunter then delivered his second hit of the game for an infield single, which allowed Wenson to score, giving the Bees a 3-0 lead. Rubalcaba later scored on a wild pitch from Andueza to give the Bees a 4-0 lead. Beloit had gotten hits here and there through the first six innings but couldn't find a way to get any runs on the board. 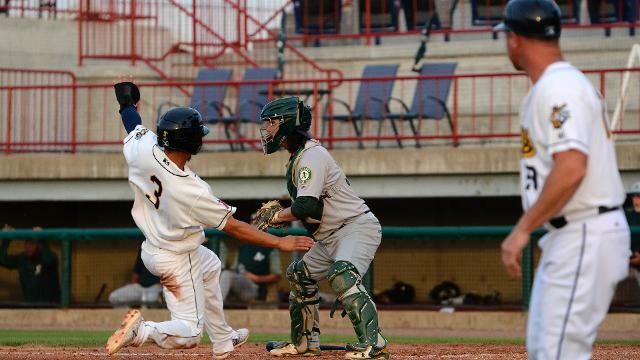 However, Beloit got things going in the seventh after Jesus Lage and Nick Allen drew back to back walks, and Lazaro Armenteros singled to shallow left for a single to load the bases. Austin Beck put a run on the board after sending a ball to deep right for a sacrifice fly, making the score 4-1. It was a huge momentum boosting seventh inning for the Bees, but a very frustrating and heated inning for the Snappers. Hunter started things off by drawing a walk and then stealing second for his 20th steal of the season. However, Snappers manager didn't agree with the call Webster Garrison argued with the call and ended up getting tossed. 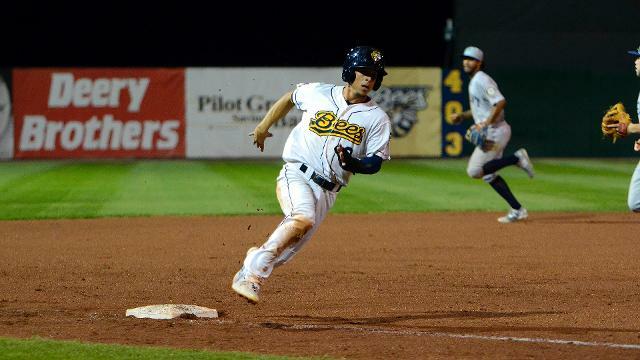 Hunter then decided to steal third base for his third steal of the night and ended up crossing home after Rivas drove him in on a single to left to make it 5-1 Bees. After a pitching change, Martinez hit a double left and Rivas came around to score all the way from first to make it 6-1. Williams then drove in Martinez on a single to right, but the play was far from over. After Martinez scored, Williams headed to second, but the throw from Nick Highberger went into the outfield and Williams headed for third. Logan Farrar tried throwing Williams out at third, but his throw went past Gridley and Williams ended up scoring, making the score 8-1. The Bees still weren't done though, as Griffin and Julio Garcia got back to back hits to put runners at the corners. Wenson ended up scoring Griffin on a single to right to give the Bees their fifth run of the inning and their ninth of the game. 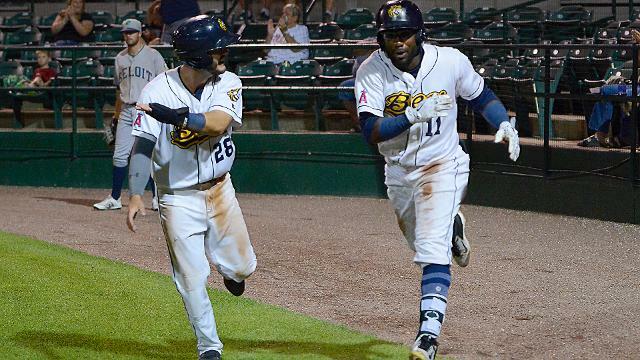 The Bees ended up totaling six hits in the inning and five of them were in a row. Torii Hunter was the leadoff for the Bees in last night's game, and the Bees may want to keep him there after a big game. Hunter finished the game 3-4 with a double, an RBI, a walk, and stole four bases in the game. Hunter's most impressive moment came in the fourth inning. Beloit got him in a pickle on a pickoff attempt, but he ended up avoiding a tag and getting to second for a steal. If you want a reference to what it looked like, look up Josh Harrison's pickle escape. Torii's wasn't as impressive as his, but it's similar in the way he escaped the tag. Hunter didn't do all the damage by himself though, as four other players finished with multiple hits. Griffin was 2-4 with a pair of RBI's, Martinez and Rivas both went 2-4 in the top of the lineup with an RBI each, and Wenson went 2-4 with a double and an RBI. Although Herrmann had his best game of the season, it was the bullpen that kept the Snappers at bay late in the game to give him the win. Austin Krzeminski went two innings, but did run into problems after throwing three walks, which led to a run for the Snappers, but he still only allowed one hit and threw one strikeout. Andrew Wantz and Mayky Perez each pitched an inning of work while throwing for two strikeouts each. These three continue to dominate opposing lineups, with all three pitchers having ERA's under three. The Bees will play the final game of their seven game homestand in the series finale against Beloit tomorrow night at 6:30. 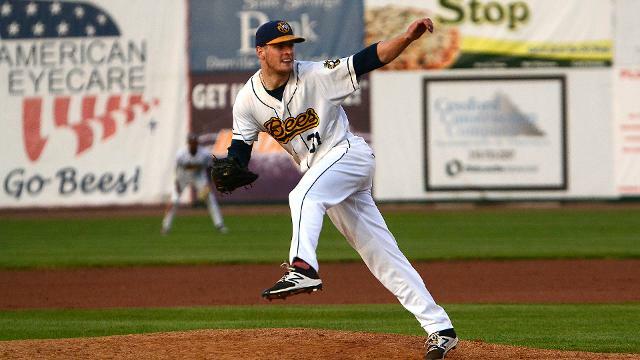 The Bees are expected to start Oliver Ortega, who is 3-5 with a 4.17 ERA in eleven starts. 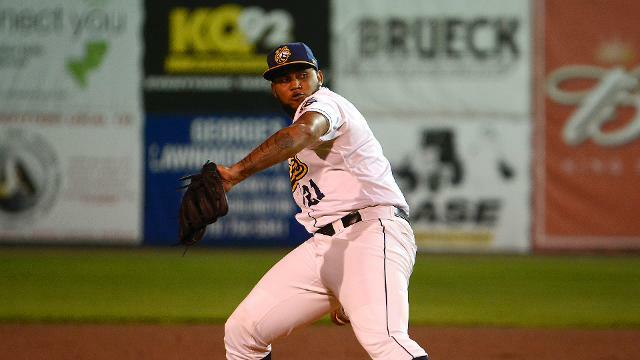 Ortega had a solid start against the River Bandits in his last start, but did have some control issues again, which lead to four walks, but he did only allow one earned run in four innings. The Snappers are expected to start Mitchell Jordan, who has been one of their best pitchers this season. Jordan is 4-2 with a 2.26 ERA in 14 starts and 18 total appearances, allowing just 23 earned runs in 91.2 innings pitched.